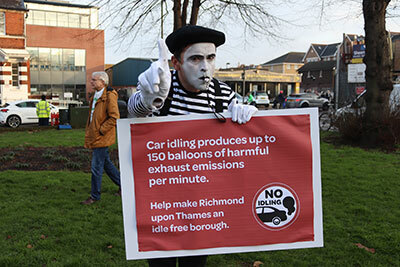 Make Richmond upon Thames idle-free | WHATSLOOKING! We are committed to making this the cleanest, greenest borough in London but we need your help. From 1 March, people who refuse to turn off their idling engines when asked will be fined. Primary school children are being asked help design maps describing a ‘breathe easy’ route to school. These routes could include the best cycle routes, parks and open spaces, public transport, walking, in their community.